This April Localgiving is putting the spotlight on individual fundraisers in its Local Hero campaign. 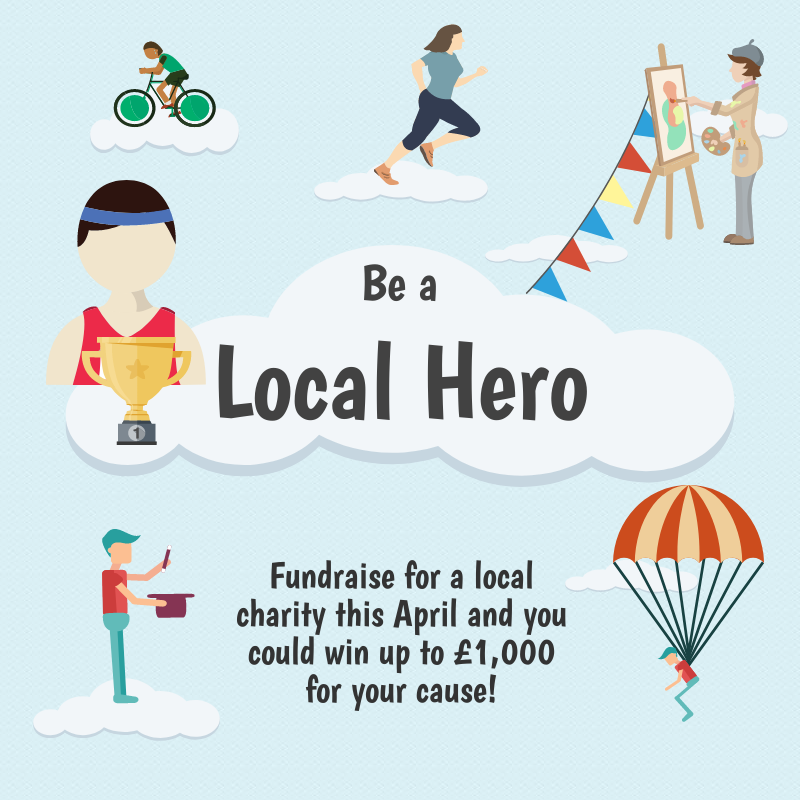 Local Hero, set to launch on 1st April and run until 30th April, recognises the incredible work put in by fundraisers from the arty, to the athletic, to the absurd. All participants need to do is think up a challenge, set up a fundraising page and persuade as many people as possible to donate. Throughout April, all participants will be ranked on the Local Hero leaderboard according to the number of unique online donors who sponsor their page. At the end of the campaign £5,000 in prizes will be awarded to the causes supported by the top 20 fundraisers, with a top prize of £1,000 going to the cause of the fundraiser who has secured the most donors. During Local Hero 2017, 340 fundraisers raised over £122k for 189 local charities and community groups across the UK. The winner of the campaign in 2017, Adam Curtis, secured an astonishing 261 unique sponsors, raising over £2,000 for The Russell School plus an extra £1,000 in prize money.